When a lame foal is born, his parents demonstrate the species’ strong family-ties. They stay beside him long after the other families have moved on. Over the days, with their loyalty and patience, the foal becomes determined to master his wobbly legs. Out on the plains, a new drama is unfolding. A stallion has died, leaving behind his most treasured possession – his harem of mares and foals. One of his mares is carrying his unborn foal in her womb. Will the new family stallion tolerate his predecessor’s offspring when it is born a year from now? When summer rains cease, the zebras must leave home to seek refuge alongside a distant river. For some residents of the Boteti River, like a family of lapwings, the zebras’ arrival is unwelcome. The birds must now raise their newly hatched chicks among thousands of clumsy hooves. 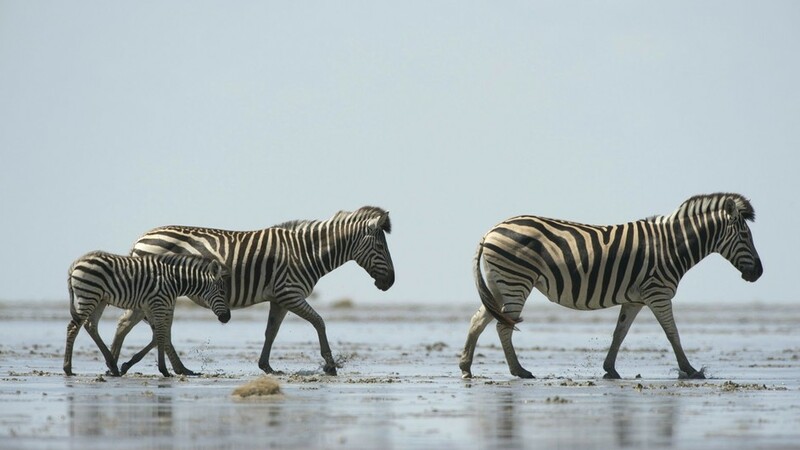 The zebras’ dry season exile here is fraught with the dangers of lions, hunger and exhaustion as they walk great distances in search of adequate grazing. When the rains finally arrive, the herds race home to the pans. After the dead stallion’s mare has nurtured his foal for so long and so far, it’s birth ends in tragedy. Survival is difficult in this arid landscape and the new stallion cannot afford to dedicate his responsibilities towards a foal sired by another male. The film explores parenthood and the fragility of young life – from zebras to lapwings to meerkats – in this harsh environment. It’s a tale of loyalty and sacrifice, of home and exile, of death and new life, in southern Africa’s largest zebra population. Robyn Keene-Young, producer and writer of this black-and-white striped horses’ epic tale, gave us an insight into their time in Botswana. Follow this link to read more.